Everybody knew that Frank Koehler was the killer. The witnesses knew it. The cops knew it. Even his family and friends knew it. But, somehow, the west side New York thug with a lengthy rap sheet was never picked up or charged with the 1970 shooting murders of Richie Glennon and Pete McGinn. Twenty-seven years later, Detective Andy Rosenzweig happened to drive by the former site of Glennon's restaurant and wondered whatever happened with the case. A casual friend of Glennon, Rosenzweig did some digging and found the official word was that Koehler was "probably dead." But "probably" wasn't good enough for the tenacious cop, who quickly became obsessed with finding Koehler's real fate --- and bringing him in if he were somehow still alive, even after all these years. On that fateful night in 1970, the trio had argued at McGinn's bar about Koehler's affair with a jailed buddy's wife. A fist fight started, with Koehler losing. When he returned later that evening to "hash things out" at McGinn's nearby apartment, the two doomed men didn't know Koehler had a gun. After the killings and the wounding of another man, Koehler promptly disappeared from the mean streets --- and stayed that way. This is the fascinating scenario behind A COLD CASE, Gourevitch's masterfully written true crime book that alternately reads like a crack police procedural, fugitive-chasing thriller, and incisive social history of the law enforcement lifestyle and a New York lost to time. With no statute of limitations on murder, Rosenzweig and his team begin a painstaking search for Koehler, involving stakeouts, interviews, and chasing paper trails. "As a rule, nobody speaks for the dead," he tells the author. "Unless we do." Koehler's near-miss capture, subsequent trial, and imprisonment provide a neat closure to a messy incident. 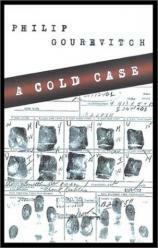 A COLD CASE is a surprisingly thin and short book, the antithesis of Ann Rule's true crime magnum opuses. But it's a credit to Gourevitch's skill as a storyteller that his spare, straightforward writing nonetheless creates a rich picture of a relatively simple crime. His heavy use of direct quotes from Rosenzweig, Koehler (who, we find, identifies with the protagonist of the wispy song "Alfie" as well as James Cagney), and the colorful lawyer Murray Richman also does much to let their personalities come out through their own words rather than descriptive prose. 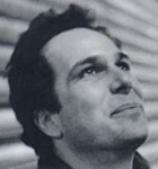 Hopefully, this won't be the last "cold case" that Philip Gourevitch decides to thaw out.